Tigres UANL and Toronto FC Accept Invitations to the Dr Pepper Dallas Cup | Dallas Cup, Inc.
DALLAS, Texas (Tuesday, Dec. 12) - Dr Pepper Dallas Cup, the oldest and most prestigious international youth soccer tournament in the United States, has announced that the academy teams of both of North America’s division one champions, Tigres UANL and Toronto FC, will join the Gordon Jago Super Group in 2018. The Liga MX season concluded this past Sunday with Tigres topping CF Monterrey, 3-2, on aggregate in the two-leg final. In Saturday’s MLS Cup final, Toronto FC defeated Seattle FC, 2-0. Dallas Cup alum, Jozy Altidore, scored the pivotal goal that put Toronto ahead in the match. Two-time Super Group Champion Tigres is eager for a return to the Gordon Jago Super Group after reaching the semi-finals of the elite bracket this past spring. Tigres is one of the most successful clubs in Dallas Cup history, having won eleven “Boot and Ball” championship trophies, including the 2003 and 2011 Super Group titles. Dr Pepper Dallas Cup XXXIX will mark the third appearance for Toronto FC after debuting in the tournament in 2013. Toronto failed to advance from the group stage of the 2017 Super Group, bowing out to aforementioned Tigres, who sat atop their group. They hope to improve upon their previous appearances and become the first Canadian champion across all age groups since 1988. Tigres and Toronto FC join previously announced Arsenal FC of the Premier League, defending Super Group champion FC Dallas, and Brazilian up-and-comer Red Bull Brasil in the 2018 Gordon Jago Super Group. 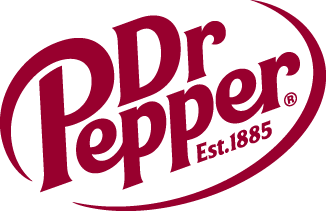 Dr Pepper Dallas Cup XXXIX will be held March 25 through April 1, 2018.